Established in April 2016, Craftastic is a Singapore-based business entity with an aim to advocate the journey of learning for adults and children alike. We believe learners experience optimal learning when faced with challenges, trying to create things handmade or handcrafted. 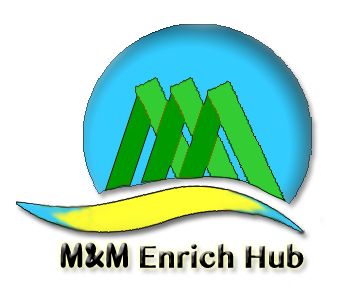 In the process, their minds unlearn, learn and conceptualise transformational learning methods of their own, allowing them to incept articles beyond their capability from the fundamentals they learn from our workshops. With this in mind, Craftastic; a centre offering handicrafts of all sorts, was set up. A secretary by qualification, Noor-Jamilah, better known as Nora, started dealing with fresh flowers and arrangements at the age of 15. Her passion gradually evolved to her hand-making her own flowers in clay and other media like silk, fabric and satin hence after. A certified clay instructor from United States and Japan, Nora uses that forte along with her administrative and training background to engage individuals and corporate participants during content delivery. 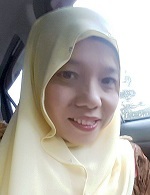 She recently achieved her ACTA certification by the Institute of Adult Learning, Singapore. 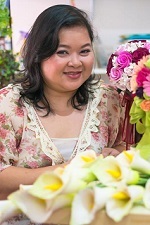 Nora developed a flair for unique designs through the years, be it for flowers or alternatives needed in weddings and special occasions and started creating ala-carte wedding articles like the wedding gift trays, the bunga pahar and sireh dara/ junjung at the requests of friends and clients. Humbly began as a self-taught learner, she pursued certifications in jewellery design, and clay-crafting from overseas institutions. Thomas Lai has more than 25 years work servicing clients from the financial services, insurance, BPO, call centers, healthcare, education, armed forces, manufacturing, tele-communication, retail, oil and gas industries. Formerly a training manager with OSK Investment Bank and a HR specialist with Globe Silk Store, Malaysia, Thomas has also worked with a Singapore consulting firm. A certified PCM® and Process Communication For Education® trainer with Taibi Kahler Associates, USA, he is also a certified EQ trainer with 6 Seconds Network USA. He is trained in Facial Action Coding System (or FACS) by Dr Erika Rosenberg, scientific consultant for the TV series, ‘Lie to Me’. Thomas was awarded the Advanced Certification in Training and Assessment (ACTA) by the Institute of Adult Learning, Singapore. His sound advice deriving from the varied expertise in the different industries will definitely be of value to Craftastic.